32" x 32" Contoured Serape Felt Bottom Saddle Pad. Features felt bottom, suede wear leathers, and suede leather reinforced spine. Pad is contoured to fit your horse's back. 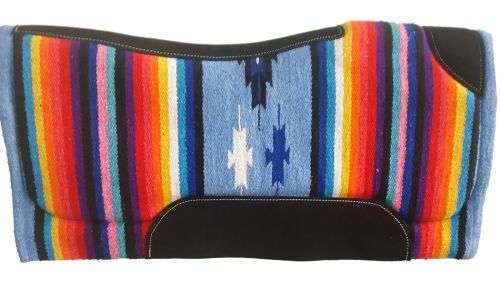 Pad is light blue in color with a multi colored serape design.